Wendy Pua | Malaysia Chinese Lifestyle Blogger: XPAX Celebrates the Samba Spirit with #KAX ! KAX, a series of eight limited edition blue and purple collectibles that makes the perfect companion as Malaysian celebrate the excitement of the biggest sporting event of the year. Xpax is pleased to introduce the cute and cuddly KAX to celcom customers and bring Malaysians together in celebrating the football fever that is set sweepthe country and rest of the world soon. 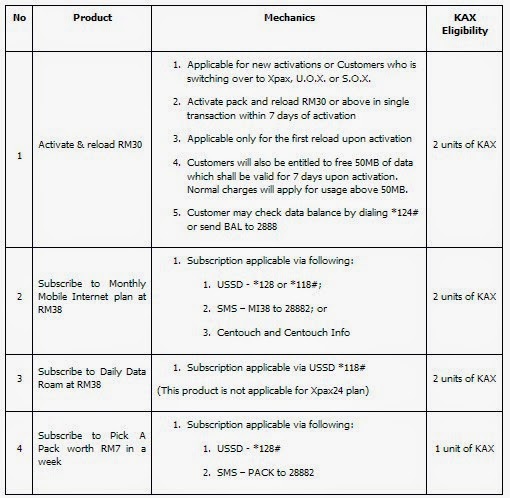 Celcom are happy to offer these collectibles to their customers and the KAX collection signifies Xpax's effort to delight their customers by providing offerings that are beyond their core products, in line with commitment to enhance customer experience. They will also invade your favorite social media sites likes Facebook, Twitter, Instagram. KAX is for all fans and non-fans alike as football transcends all boundaries. KAX is the NEW BFFS in town! So Which KAX is your Favourite??? How You can Get Your KAX? 2) Existing Customers : Subscribe to Mobile Internet mBasic, mAdvance or mPro. Pick a Pack worth a minimum od RM7 per week.